drivingandlife: SHOULD INFINITI BE LIMITED? Synonyms include: endlessness; boundlessness; limitless; vastness; infinite distance. 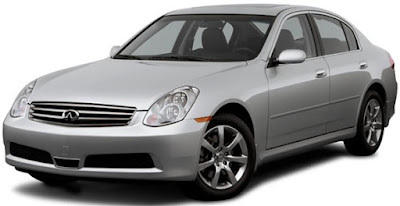 Okay, now let’s turn to Nissan’s version – INFINITI. 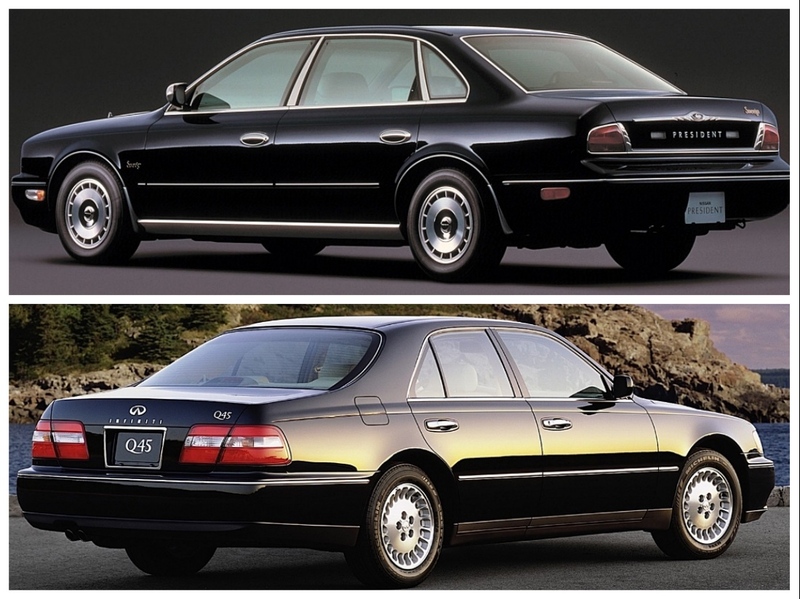 ‘Starting in 1989, throwing endless squillions of Yen/Dollars at a car (the Q45) derived from an ageing Nissan President platform, fitted with an outstanding V8 engine, with styling inspired by Italian furniture designer Poltrona Frau, and a new identity, to engage in pursuit of Toyota’s Lexus division’. The INFINITI exercise to me is an example of: ‘Toyota has a luxury line, we should have one too’. However, despite outstanding attention to producing excellent powertrains, high technology equipment, high quality audio systems and keen pricing, Infiniti has never achieved the expectations Nissan had for the brand. It has undoubtedly resulted in becoming a process of squandering an infinite amount of money chasing a dream. Infiniti sales in the USA, its prime target market, peaked in 2005 at 136, 400 cars, but has slowly declined since then. My interpretation of the Infiniti conundrum lies in the fundamental differences between the ‘culture’ of both Toyota and Nissan. Eiji Toyoda (left) pursued a strictly defined strategy for Lexus, whereas I am not sure Nissan had a totally clear vision of what it wanted Infiniti to be, what it should represent and most importantly just how it would define and prosecute a strategy for its luxury division. 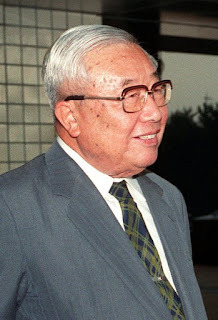 Also, Infiniti never had a ‘champion’ within the Nissan corporation, in the way Mr. Toyoda drove the Lexus concept. 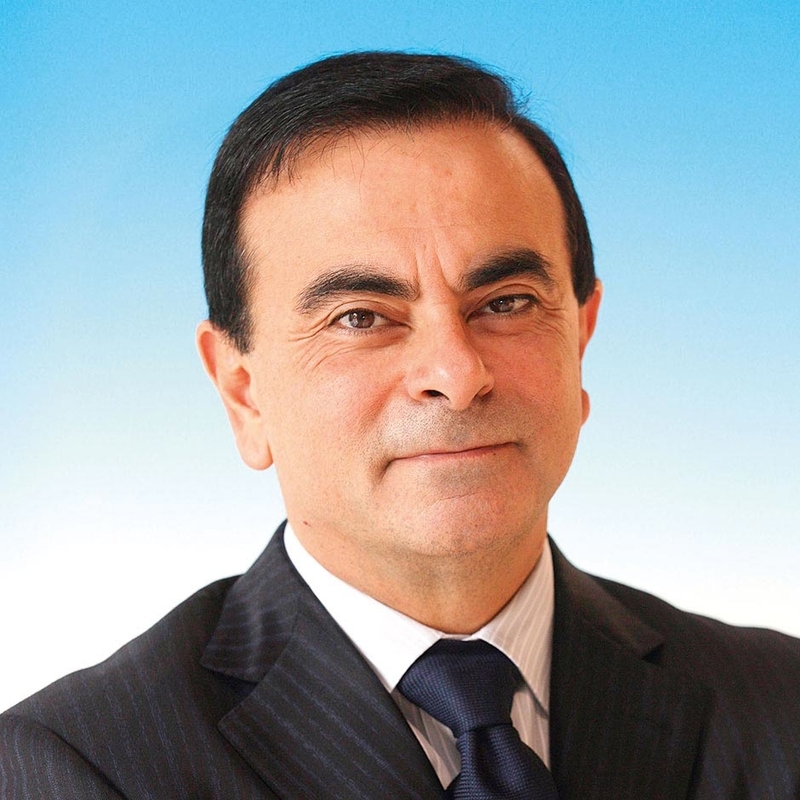 It could be said that the President of the Renault-Nissan Alliance, Carlos Ghosn, is Infiniti’s ‘champion’ – but there were many other fires for Carlos to fight, the major one in 1999, when Nissan teetered on the edge of bankruptcy, and was only rescued when Ghosn convinced the Nissan Board to agree to form the Renault-Nissan Alliance. Okay, so BMW is really Infiniti’s benchmark competitor. So how is it doing against one of Europe’s mightiest brands? Despite the huge sales success of the Infiniti G35 (winning MOTOR TREND’S ‘Car of the Year’), Infiniti has never achieved its stated aim. So these days the question you must ask is, is it really worth whatever Nissan spends on trying to interest luxury car buyers in the cars and SUVs Infiniti offers? Maybe that ship has sailed. But wait! Is that a faint glimmer of commonsense I see appearing at the end of a large black hole? There may be a truly insightful and pragmatic approach to making the Infiniti division become profitable, or at least financially able to wash its face. Enter the Infiniti Q30 compact hatchback. Okay, it’s really a Mercedes-Benz GLA with a fresh face, new clothes, and a great Bose audio system. 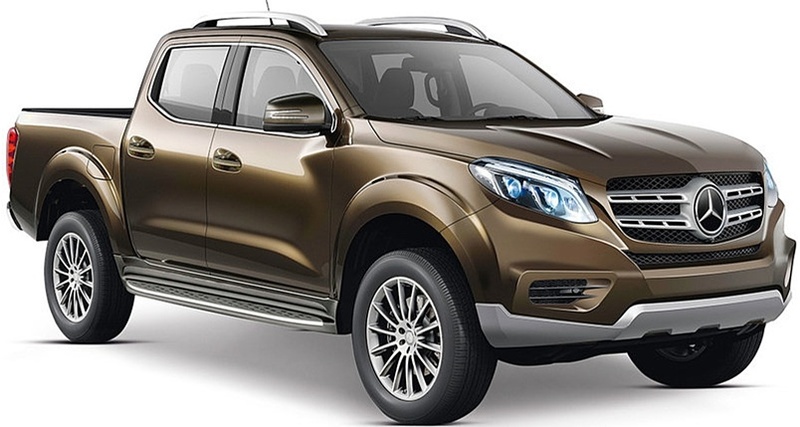 But, it is definitely a way of introducing high-class brand values on a new model line for a lot less investment. Especially the cost-sapping components like powertrains, brakes and suspension, not to mention basic design and engineering that went into the original GL A. In addition, I know we will see this joint venture morph into a plan for Renault-Nissan and Daimler to share architecture and powertrains on even more future new models. The recent announcement of a 50:50 joint venture between the partners in a new manufacturing facility in Aguascalientes, Mexico is the most promising sign. Already, the partners have confirmed the Mexican plant will produce a range of premium compact vehicles for both Mercedes-Benz and Infiniti brands. 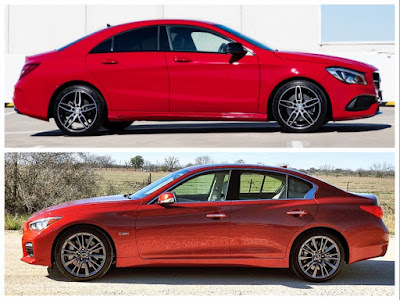 Infiniti’s Q50 and Q70 sedans, plus its Infiniti SUVs, currently use an architecture known internally as FM (for Front Midships), which was developed from Infiniti’s original Nissan donor platforms, such as Nissan Qashqai (Q50) and Nissan Fuga (Q70). As the FM platform runs up to its use-by date, it will be interesting to see what develops from Infiniti’s marriage with Daimler AG. 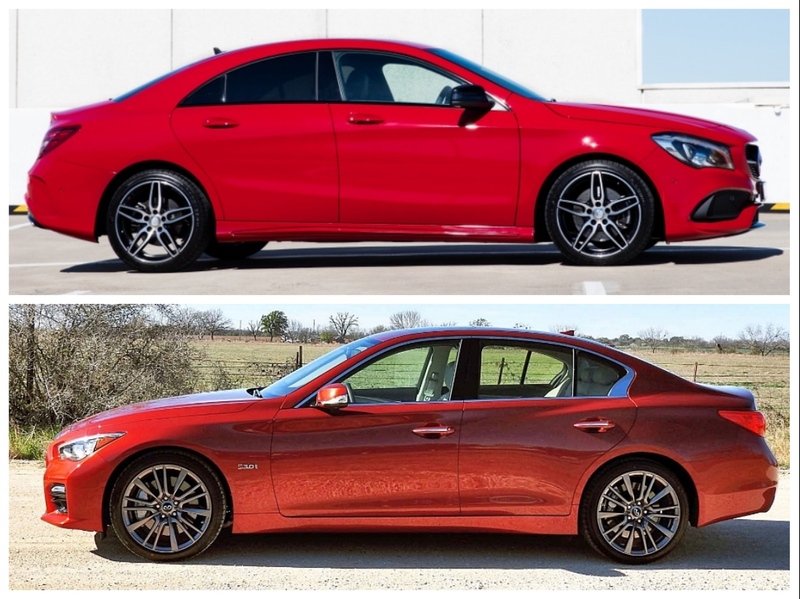 My Stuttgart mole tells me talks have been ongoing for some time between the partners, which could see the new premium compact car to come from the Mexican plant in 2018 being a replacement for the Mercedes-Benz CLA-class sedan, and Infiniti Q50. Already disguised prototypes, shadowed by a Mercedes CLA-class sedan have been spotted road testing. Let’s face it, at some stage the boys in the boardroom at Nissan in Tokyo have got to question continually throwing infinite amounts of money trying sustain its Lexus-like luxury brand. The Year-to-Date Infiniti brand sales for the end of September 2016 in North America were 96,775 units, a paltry 1.3% improvement over 2015. Sure, Infiniti was a brand developed purely for the US market in the early 90s, and it has been selling the cars worldwide for the last ten years or so, but Infiniti’s global sales are abysmal. Infiniti needs something, but maybe more than a shot in the arm. The agreement between the Renault-Nissan Alliance and Daimler to build the new X-class Mercedes-Benz pickup, off the Nissan NP300 body-chassis, is promising, and shows just how cosy this marriage has become. As we’ve seen with other major joint ventures and co-operation I’ve written about over past weeks, like Toyota-Suzuki, Subaru-Toyota, Mazda and Fiat Chrysler, this business of combining strengths is definitely the only way these huge car companies will survive. Therefore I remain convinced that there must be a limit to how long we will see Infiniti remain in the marketplace. Perhaps the alliance between Renault-Nissan and Daimler is its only lifeline to existence. For me, Infiniti is an expensive and fruitless extravagance. You might even say, Nissan’s folly.